How does eDermaStamp® Micro-needling work? 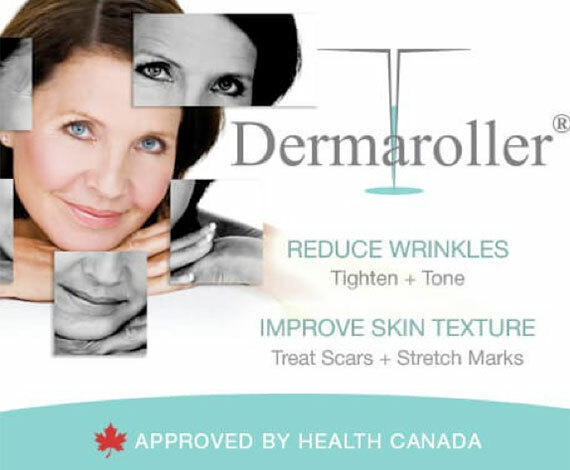 Dermaroller® surgical-grade micro-needles penetrate to the needed depth in the dermis causing “pin-point bleeding” and triggering the body’s spontaneous healing response. Identifying a small dot of blood means that the needed depth has been reached. This controlled injury underneath the skin's surface causes the body to respond through the formation of new tissue layers of elastin and collagen fibers, as well as new capillaries for an improved blood supply in the treated area. The skin plumps and thickens in response to this stimulus ultimately reducing the appearance of scars and fine lines and other skin texture changes. What are the Benefits of eDermaStamp® Micro-needling? 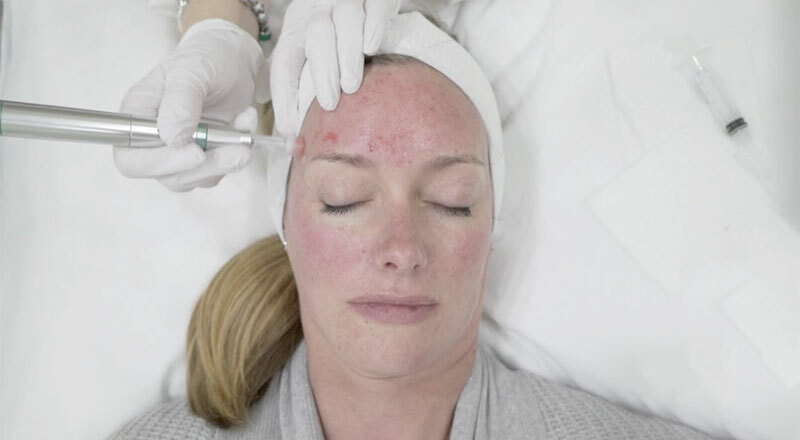 The micro-channels created by the needles allow skin care products and serums to penetrate and absorb deeper into the skin delivering more powerful results. These pinpricks kick-start your skin into healing mode which stimulates collagen and elastin production. The Collagen and elastin production plumps skin and improves the appearance of fine lines, wrinkles, acne scars, age spots, (sunspots), large pores, uneven skin tone and other types of scars and skin elasticity. How long does the treatment take? In general, the total length of time for the procedure is 60 to 90 minutes depending on the areas to be treated. Does it hurt? A numbing cream is applied on the skin before the treatment which renders the procedure almost painless for most people. Nonetheless, some pressure sensations will still be felt, although not painful. What is the downtime for the treatment? Recovery can vary but generally the skin will be pink or red appearance for 24 – 48 hours, much like a sunburn with some minor bleeding and very occasionally some mild bruising. The skin may also feel warm, tight and itchy for a short while. Generally the inflammatory reaction of the skin is usually short and fades significantly after a couple of days on average, depending on the skin colour of the individual. It may take longer for older clients or with a more sensitive skin type. Are there any side-effects or risks to this procedure? Side effects and risks are minimal with this type of treatment and typically include minor flaking or dryness of the skin, with some mild scab formation in rare circumstances. Since the tiny pricking channels close within minutes, and provided the procedure is done under clinical conditions, infections are extremely rare. Small white skin spots (milia) may also form on the skin which can be treated if these are persistent. 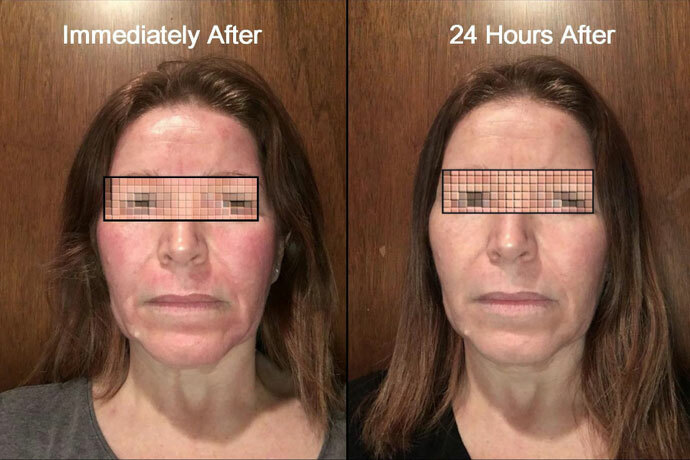 As this is a non-ablative treatment, hyper-pigmentation or darkening of the skin area treated is highly unlikely but can very rarely occur. How many treatments are recommended? A series of 3 treatments is recommended, with 6 weeks between treatments and an annual treatment after that. What can I expect during my eDermaStamp® Micro-needling Treatment? Your service begins with a thorough cleansing with Dermaroller® gentle Skin Cleanser. Then Zensa - Topical Anesthetic is applied to your skin after which you wait for 20 minutes for the anesthetic to take effect. While you are waiting, you will be treated to a relaxing head massage. When the treatment begins, Dermroller® Dermroller® CIT Hyal, micronized and concentrated Hyaluronic Acid Gel will be applied to your face to help the eDermastamp® gently glide over your skin. The eDermaStamp® Needle, is a single use, medical grade stainless steel micro-needle module that typically feels like a slight vibration, and almost like a massage with tingling on your skin. During the collagen induction process, the tiny needles in the eDermastamp® will penetrate through your skin creating tiny micro-lesions. These micro-lesions will trigger the production of your very own growth factors that result in collagen production. Lastly a Dermaroller® Mask will be applied for mositurizing and calming your skin. During the 20 minutes the mask is working, you will enjoy a hand and lower arm massage. Your eDermaStamp Micro-needling includes a product care package that you need to use as per the home care sheet you will be given. Series of 3 Face Treatments $975 (Prepaid) 1st Session includes Home Care (as listed above) 2nd & 3rd session include 2 Hyaluronic Acid Ampoules.